Here are just some of the other things we can do for you. On an industrial dedicated server. Sounds fancy ’cause it is. We require that you host your site on the industrial-dedicated-private servers that we lease. These servers are faster and more secure (from hackers, spammers and phishers) than public (GoDaddy et al) servers. They also make it easier/faster for us to make changes and additions. They are kept up-to-date on all technology which allows us more and better security and creative options. Branded, secure method for delivering and receiving client files. Online sample site coming soon. Can include cover, inside cover, tray/spines, disc art, booklets, digital download tickets and more. Production: $10/demo for 35 or more. $15/demo for less than 35. Future orders are the same plus a $50 set-up fee. we have been in the digital marketing space for over 15 years using the client website as the blazing sun of their marketing galaxy. There are loads of places that can build a website for you. You could even use one of those do-it-yourself places. problem is, you’re gonna get a one size-fits-all template. you’ve got a big problem! if you have competition then you need to stand out. Now the trick is how to stand out correctly. That's called branding. 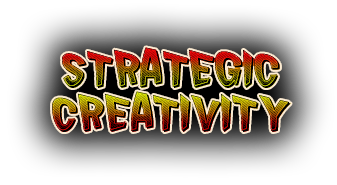 branding is simply defining your unique position in the marketplace via strategic creativity. next up: Marketing strategic/effective communication of the business opportunity complete with branding. seo helps but it is a wily and constantly changing beast. We'll do that for you as well, but for cost/roi and precision targeting, nothing beats Social Media Marketing right now. we pretty much do it all. but don't get ahead of yourself. It all starts with the website.